Meghan “PR” Roberts just keeps on smashing weights, workouts and life in general outside of the gym. 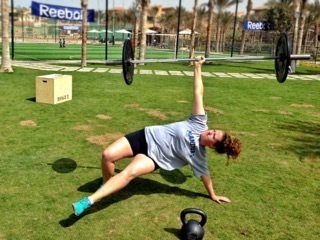 She’s done crossfit in Eygpt, is a dedicated teacher and was one of the founding members of Crossfit Corydon when we started in February 2015. Always a positive attitude and motivator to everyone in class or new people coming in to try it out, she embodies both the strength and community aspects of crossfit. In September, along with the last few months, Meghan has safely, confidently and consistently pushed her performance to new levels and we think this is just the tip of the ice burg of what she will achieve in the future. 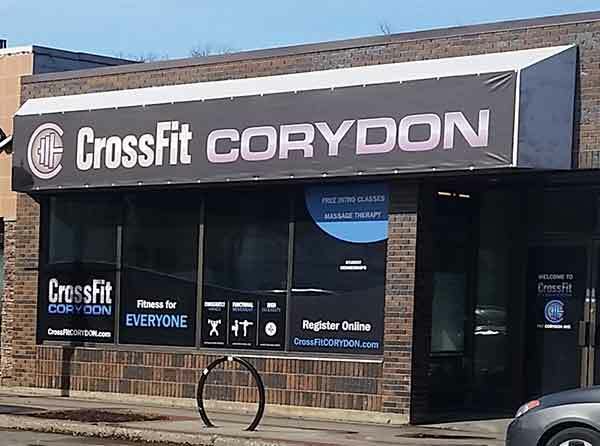 A welcoming, close-knit, fun, fitness community. There are two things that draw me to CFC day after day. The community at this gym is unrivalled. It has a friendly welcoming atmosphere that makes it feel like it’s your home away from home. You will always find encouraging and motivating words from someone, whether it is a coach or another member. For the longest time deadlifts were my favorite because it was my strongest lift. These days I find myself loving squat cleans. There is just something so exhilarating about cleaning up a heavy weight, diving under the bar, and catching it successfully. Handstands! That is probably because I can’t do them…yet!! Being upside down isn’t something that I enjoy so to get me to try and practice them is difficult. Of course if I don’t practice them, I don’t improve. I’m hoping that the handstand fairy comes along one day and sprinkles some of her magic handstand dust on me so I will be able to do them! Hah! If you know me at all, you know that I am constantly hitting new personal records in the gym every week. The accomplishment I am most proud of since beginning at CrossFit Corydon is my improved self-confidence. 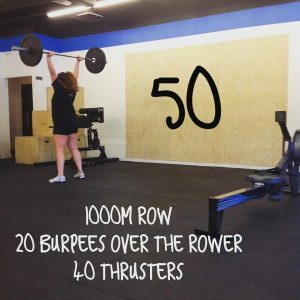 I have been doing Crossfit for over 4 years. During my time at CFC I have increased my strength and conditioning by leaps and bounds and have found a very supportive network of like-minded individuals that are constantly motivating and pushing me to be my best. This support has allowed me to recognize my strengths and to continue cultivating them to be even stronger. It has also helped me to recognize my weaknesses. One of my biggest weaknesses was a lack of self-esteem/self confidence. Until this past summer, I had always been focused on how I looked instead of how I felt. In the past, I would rely on others to boost my self-esteem with compliments or kind words. Every day was a constant battle with loving what I saw in the mirror or with what I could do in the gym. Over the summer, while hitting CFC, getting to know other members at the gym, listening to the advice and support from the coaches, my mindset gradually began to change. I found myself starting to love what I could do and what I couldn’t do (and wanting to be better at those things), but I also found myself starting to love me. I felt like a fire had been lit inside of me, driving me to be more positive. Reciting this daily helps to keep the fire burning inside of me. Taylor has pretty great hair and always has a story about the workout he did that day or a new exciting PR to tell me about! Shane always has the best response to “how’s it going?” He loves to give me dating advice and has the most interesting one-liners! Jason is one of the most positive, motivating people I know. He always puts in the extra effort to make sure you keep going until the very end! He also loves cats!! Matt loves what he does and because of it is a fountain of knowledge and opinions. He isn’t afraid to tell it like it is or give you a suggestion (or six) on how to improve something! One of my good friends, that I attended university with, had started Crossfit a year before me. She recognized I was struggling with some issues in my personal life and said she would help me get started, and even came to my first on-ramp class with me! I have now been doing Crossfit for almost four and a half years. I love the variety and the competitiveness of the sport. That, along with the supportive community, keeps me coming back, day after day. I play slopitch from May until October every year. I used to play fastpitch competitively so playing slopitch satisfies my softball craving each year! I also love to travel. I have been to many warm destinations down south as well as to Europe and Africa. I plan on taking off to Europe next summer to explore Italy, Spain and Portugal. I’m a teacher so I spend a lot of my time coaching various sports teams at school. Most of my goals focus around the gym. I have two goals that I am working towards at the moment. I would like to be able to do at least one pull up by 2016! I would also like to podium at Frostfit at Crossfit Winnipeg, in the scaled division. I am adopted! If you have ever met my parents or have seen pictures of them, you can see very quickly that I look nothing like them! I have met my birth mother and I have two half sisters that are both amazing hockey players. One of my sisters used to Crossfit too! Both sisters are much younger than me and currently attend university.